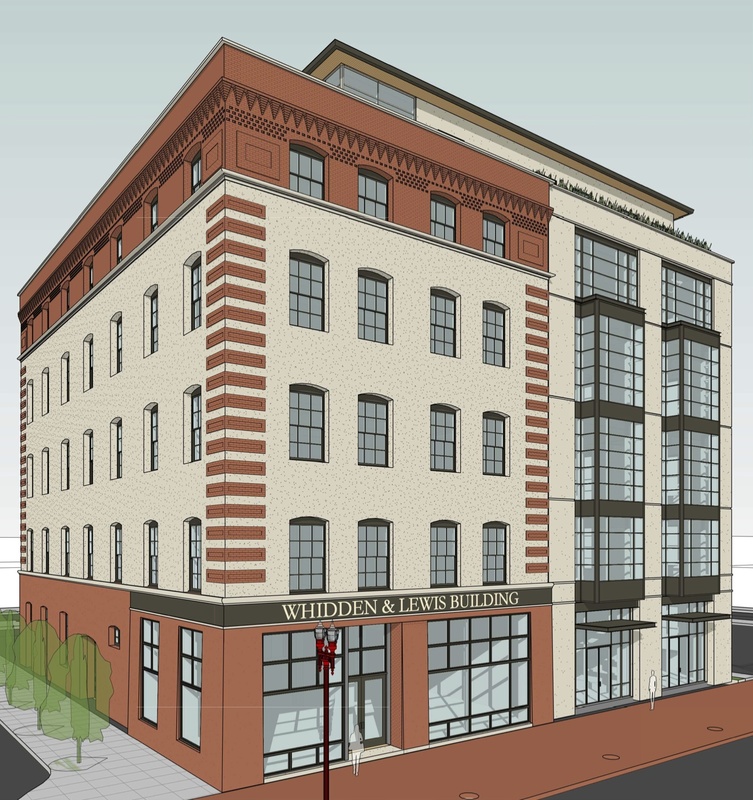 The Design Commission will offer its advice this week on a renovation and expansion of the Whidden & Lewis Building. The 1897 building is an early work by Whidden & Lewis, a prominent architectural firm who later designed the Multnomah County Courthouse. Since 2000 the building has been owned by Venerable Properties, a developer known for its work on historic buildings, including the White Stag building and Washington High School. The City Council will this week vote on whether to approve a re-zoning for the MAC Block 7 apartments. (EDIT: the council heard evidence, and decided to continue discussion on January 8th. No vote was taken.) The project is a multi-story building with up to 280 apartments and 420 parking spaces. 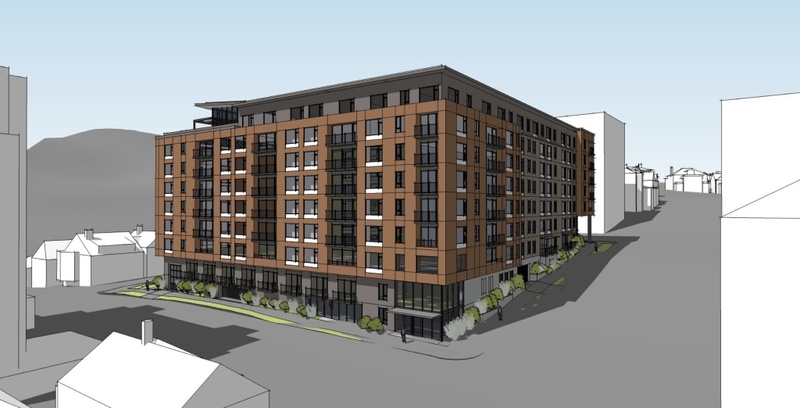 The change from High Density Multi-Dwelling (RHd) to the Central Commercial (CXd) is required to allow 225 parking spaces to be used as commercial parking for the Multnomah Athletic Club. Commercial parking is not allowed in a residential zone. The project will also include 16 studio apartments for the short term use of MAC members and guests. These are classed as a Retail Sales and Service Use, and are also prohibited in a residential zone. The apartments and associated resident parking would be allowed in either zone. The developer is Mill Creek Residential Trust and the architects are Ankrom Moisan. 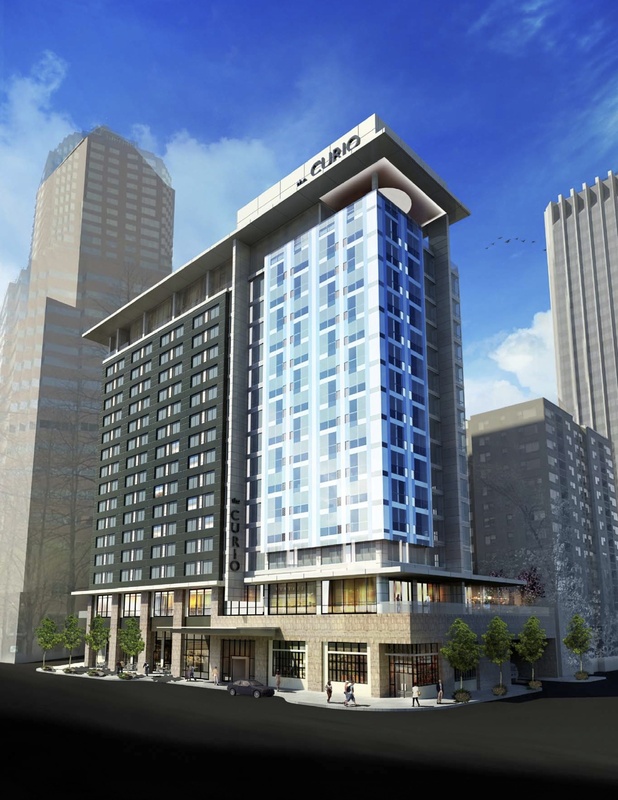 The team behind the proposed AC by Marriott hotel in Downtown have applied for a full Type III Design Review. The 13 story hotel, first announced in August, will have 204 bedrooms, as well as a bar, lounge, lobby and dining room on the first floor. No on-site parking is proposed. 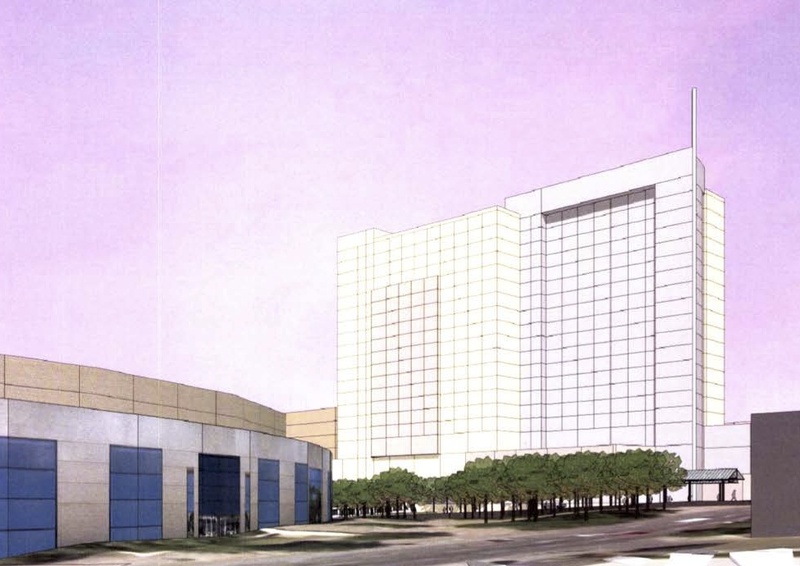 The developer is Minneapolis based Mortenson, who are also developing the Convention Center Hotel. The architects are SERA. 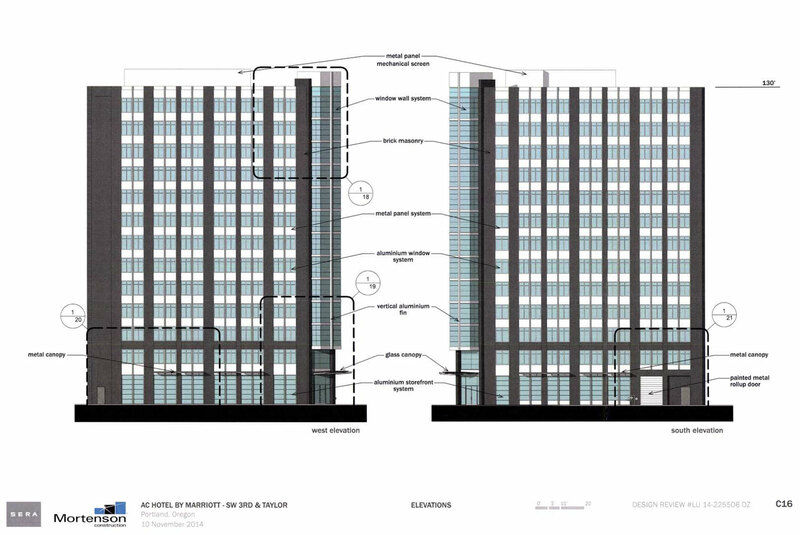 A Design Advice Request posting notice [PDF] shows the first image of a proposed 15 story building in Downtown Portland. The project, by Core Campus, includes 30,000 SF of retail at the first floor, and 14 floors of apartments, aimed at the student market. Two levels of underground parking are proposed, with 192 spaces, for the use of both the residents and the grocer. Outdoor amenity spaces are provided on the 2nd floor courtyard and on a roof deck at the 15th floor. Pre-Application Conference to discuss a Type III Design Review for a new 4-story commercial building (existing building will be demolished). 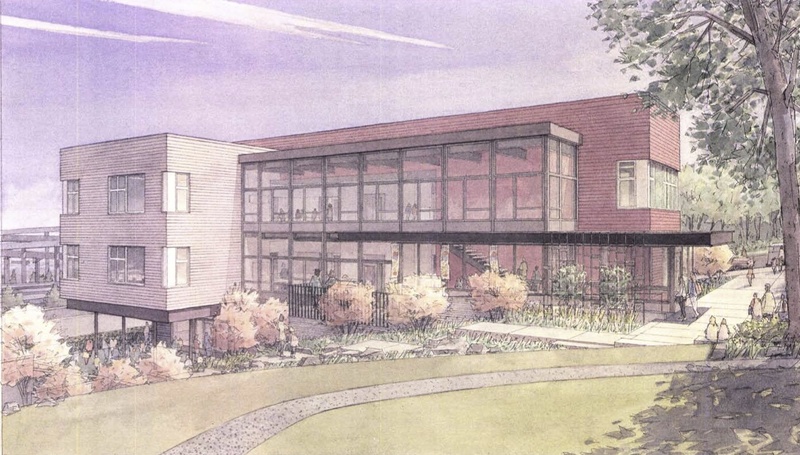 The new building will include parking and a roof deck. The site is at the intersection of SE Stark and Sandy. It is currently occupied by a single story office building, with associated surface parking. 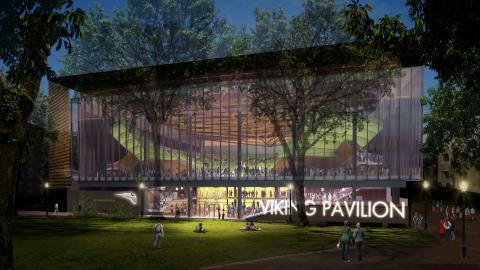 The proposed Viking Pavilion will be located on the South Park Blocks, at the location of the existing Peter W. Stott Center. 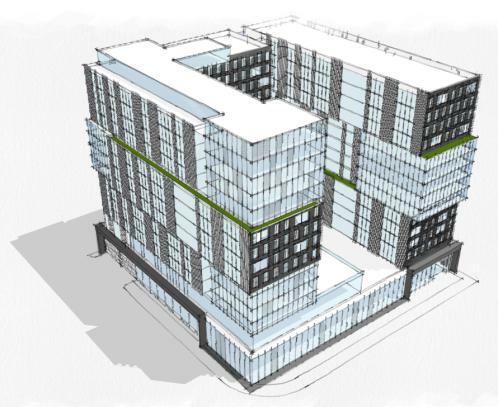 The Bureau of Development Services has published its Staff Report and Recommendations to the Portland City Council [PDF] for the demolition of the Buck-Prager Building at 1727 NW Hoyt. If the review is approved, the applicant proposes to build a half-block residential building, with 82 units. The developer is Gerding Edlen and the architect is Holst.